The eighth release in Glenmorangie’s award-winning Private Edition collection, Glenmorangie Bacalta was inspired by a memory. This exceptional single malt was extra-matured in bespoke Madeira casks, a unique journey that reveals a complex character with a rare woody finish. 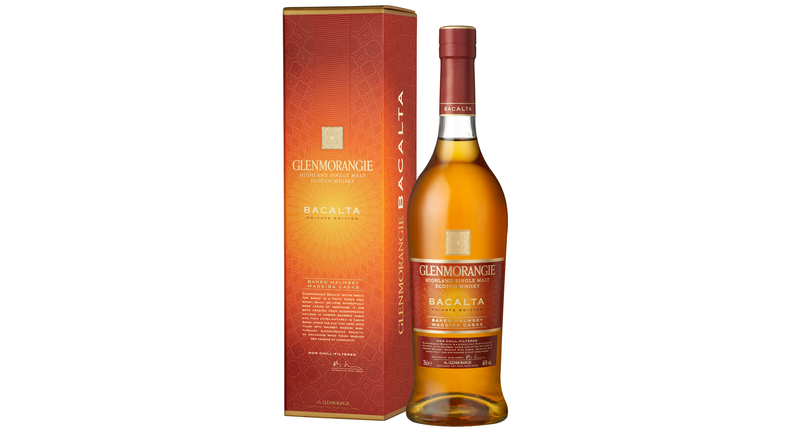 Glenmorangie Bacalta (Scots Gaelic for baked) is the eagerly anticipated eighth release in Glenmorangie’s award-winning Private Edition of rare, complex and intriguing single malts. The inspiration for this limited edition first glimmered more than 20 years ago with the release of Glenmorangie Madeira Finish, the world’s first whisky matured in Madeira casks. Its character delighted aficionados and it is still sought-after. The memory of this expression led Dr. Bill Lumsden, Glenmorangie’s Director of Distilling, on a quest to produce Glenmorangie Bacalta. For this new limited edition, the distillery drew on its renowned expertise in maturation, ordering bespoke oak casks for the extra-maturation. The casks were heavily toasted for more complex aromas and then filled with Malmsey, the sweetest Madeira wine, before being baked in Madeira’s sun for two years. They were then emptied and shipped to Scotland and filled with selected Glenmorangie spirit that had already matured in ex-bourbon barrels. Creating this exceptional single malt was a remarkable journey, notes Dr. Lumsden: “Realizing this ambition took time and dedication as every step of extra-maturation was tailored exactly to our specifications, rather like haute couture.” Connoisseurs will recognize the sun-baked warmth of Glenmorangie Bacalta, with generous sweet aromas mingling with notes of baked fruits and honey. To present this new single malt, Glenmorangie hosted a Google Hangout live virtual tasting on January 31, followed by a live Q&A with Dr. Bill Lumsden.